Metro’s new Silver Line is set to open this Saturday, July 26th. The five new stations (McLean, Tysons Corner, Greensboro, Spring Hill and Wiehle-Reston East) will open at 12:00 PM. During rush hours, trains will run every 6 minutes, and every 12 to 20 minutes during non-rush times. Additional information can be found at www.silverlinemetro.com. There is a 7 level, 3,300 space parking garage at the Reston station, along with parking for 200 bikes. Parking for cars will be $4.85 per day or $65 per month for a reserved space. A space in the bike room will be $65 per year, and an additional $10 charge for a key fob. Reston Now has a wealth of up-to-date information as well. 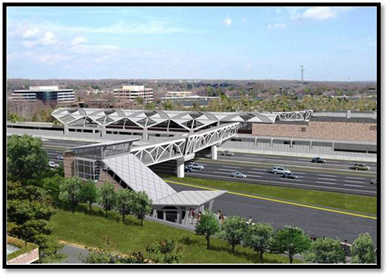 Plans are in the works for an extension to Dulles Airport by 2018. According to ABC News, Metro anticipates about 50,000 daily trips on the Silver Line on an average weekday in a year from now. Do you plan to use the Silver Line?